Welcome to the Accredited AAPM ® American Academy of Project Management ®. 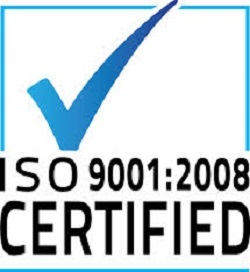 We are the 1st Graduate Certification Body in the world to earn accreditation from the TUV-OE in Europe as ISO Certified 9001 for Quality Management and ISO Certified 29990 Training Standards. If you desire recognized global Project Management Certification, then the AAPM® & IPMC International Project Management Commission ™ is the place to start. The Board of Standards ™ is offering graduate designations and credentials to qualified Project Managers. To earn AAPM® Project Management Certification, please submit a resume if you have over 3 years of Project Management Industry experience and a relevant & approved accredited college education or training. If not, take VIP courses from our approved education list of project management training & degree courses. See the list of our Project Management graduate Certifications. To Earn the Project Management Certification - The MPM ® Master Project Manager or The CIPM ® Certified International Project Manager ® qualifications, Please Read our Requirements or our Executive Exam Waiver Criteria. For the basic degree and experience criteria, please read our requirements section. The AAPM ® Board has Approved and Accredits over 40+ Specific Project Management Diploma, Certificate and Degree Programs that make you AUTOMATICALLY eligible for our certifications. Accredited by the TÜV Technischer Überwachungs-Verein Österreich, : 140 year old EU/Austrian Technical Inspection Association) which are German organizations that work to validate the quality of products and services of all kinds to protect the public and for safety. IBS GAFM - EU Standards Council of the International Board of Standards. We are ISO 9001 Certified for Quality as a Certification Body by our EU Standards Council of the IBS GAFM International Board of Standards. News: Chapters in Europe, China, Mexico, Russia and USA - News - AAPM ® Forms Academic Alliances with The National Research University of The Russian Federation, The George Washington University PM Masters Program, Association of Engineers in Italy, The University of California PM Diploma Program, The Arab Academy of Banking and Financial Services, Macau Polytechnic University, Institute for Professional Excellence, The International Islamic University, Marketing Institute of Singapore, GDT Global Development Training, and the Universidad Internacional de México, and the The University of Hong Kong. CIPM Certified International Project Manager ® is a Registered Hong Kong Trademark licensed exclusively to AAPM USA Board of Standards and Certification Accreditation Council. AAPM ® featured in: Forbes News, The Business Wire, Reuters Global News, EuroInvestor News UK, Yahoo Finance, Morningstar News, Digital50 News, Direkt Broker Germany News, Ad Hoc News, Centre Daily News, Earth Times, Yahoo News, University of California News, ArabianBusiness.com NEWS, Express Computers Business News in India, and more. - AAPM Certified Member Testimonial - "Now I am one of a select group of representatives that design projects for the fourth largest contractor of its kind in the nation. Though the story of my hiring is long, I have a difficult time finding the words for my appreciation. All I can say is THANK YOU. New Certifications - AMC Accredited Management Consultant and HRPM Human Resource Project Manager Certifications. ALL RIGHTS RESERVED 2000-20011 - International Project Management Commission ™ USA - Moscow - Qatar - Dubai - Hong Kong - Singapore - Beijing - Shanghai - Malaysia - Egypt - Vietnam - Bahamas - iafm Kuwait - New York - London Certified Master Project Manager ™ is a Trademark of the AApM and IPMC All Rights Reserved MPM ™ and CIPM ™ Accredited IPMC Board Certified Project Manager Jobs Books Training Conferences Seminars and more IPMC The Largest Graduate Project Management Association in the World Terms New Graduate Certification Courses for in these locations: CIPM - Mumbai, India, Sydney, Australia, Taipei, Taiwan, Bangkok, Thailand, Bali, Indonesia - MPM - Hong Kong SAR, China, Bali, Indonesia, Qatar, Sydney, Australia, Tokyo, Kuala Lumpur Japan, South Korea, Seoul, Perth, Singapore, Bahrain CIPM Certified International Project Manager - Courses & Training in Graduate Project Management April Mumbai, India Sydney, Australia Taipei, Taiwan Bangkok, Thailand MPM Master Project Manager - Courses & Training in Graduate Project Management Hong Kong SAR, China Bali, Indonesia Qatar Sydney, Australia Tokyo, Japan South Korea, Seoul Perth Singapore Bahrain CEC Certified e-Project Consultant ™ & Certified E-Commerce Consultant - Certified Project Consultant CPC Governmental Project Manager GPM ™ or Government Project Manager GPM ™ Certified Project Specialist" CPS ™ Terms and Disclaimer Project Management Training & Certification Practical Project Manager Training and Certified Courses Project Management Definition Project Management Certifications www.projectmanagementcertification.org/project_management.html Global Recognition Project Management Certification Training and Certified Courses Project Management Training IPMC ™ Common Law Copyrights Designations and Marks MCPM Master Construction Project Manager Master International Project Manager CIPM/MIPM Board Certified Business Continuity Analyst CBCA ™ Board Certified in Project Management BCPM ™ Certified International Project Manager CIPM ™ Certified Remote Project Manager CRPM ™ Certified Project Manager Environmental Engineering CPMEE ™ Certified Continuous Improvement Assessor CCIA ™ Master Project Manager MPM ™ Certified Project Quality Controller ™ CPQC Project Management Designation PMD ™ - Associates Credential Certified - Master Quality Manager MQM ™ Certified - Master Leadership Manager MLM ™ Master Risk Manager MRM ™ Cetificated Professional Manager Training Certificated Industrial Manufacturer Training Software Testing Fundamentals ™ Certified Test Manager ™ CTM Certified Project Analyst TM Certified Planning Engineer CPE ™ ESI Essentials of Service and Innovation - Techniques ESIT ™ Project Management Analyst PMA ™ Lead Project Manager LPM ™ CPRM ™Certified Project Risk Manager ™ CPRM ™Certified Program Risk Manager ™ CPRA ™ Certified Project Risk Analyst™ Certified Lead Project Manager CLPM ™ Certified Lead Manager CLM ™ Certified Global Project Manager CGPM ™ Global Project Manager GPM ™ Master Project Professional MPP ™ Certified Project Director ™ CPD ™ Certified Project Management Consultant ™ CPMC ™ Project Management Director Sanctioned Project Manager ™ SPM ™ Recognized Project Manager ™ RPM ™ Licensed Project Manager ™ LPM ™ Project Manager E-Business PME ™ Project Manager E-Commerce PME ™ Licensed in Project Management TM IT Project Management TM Construction Project Management TM Engineering Project Management TM Government Project Management TM Certified Project Facilitator CPF TM Certified Project Technician CPT TM CPO Certified Project Organizer TM CPC Certified Project Controller TM Master Human Resources Manager MHRM ™ Certified Process Manager Dot Com TM Certified Process Consultant CPC TM Certified Service Analyst CSA TM CPS Certified Project Supervisor TM Chartered Project Manager TM CPC Certified Project Counselor TM CPC Certified Project Counsellor TM CPE Certified Project Examiner TM CPI Certified Project Investigator TM EPMC Executive Project Management Certification TM PMC Project Management Certified TM Registered Accredited Sanctioned Master Degree Chartered Board Certified in Construction Management TM Government Project Management Governmental Project Manager GPM ™ or Government Project Manager GPM ™ Areas of IPMC Focus are: project management software construction project management project management training, advanced Academy of Project Management - Institute of Certified E-Commerce Consultants CEC of project professionals, it project management project management tool project portfolio management project management course project management consulting project management certification project management professional Project management is a strategically planned effort to finish a specific effort or objective, for example, construct a project for a building or implement a new system. Project management includes creating a project plan including specifying a project goals and objectives, listing and organizing tasks or how plans and objectives will be attained, which resources are needed , and contrasting budgets and timelines for finishing the tasks and project . It also includes facilitating the project plan, along with well thought out controls to remain on the "mission path", that is, to ensure the tasks, goals and projects are being managed according to plan. Project management usually comes after major phases and a feasibility study, project planning, implementation, analysis, evaluation and maintenance. (Program planning is usually of a larger scope than project planning.